Members of the Gold Country Italian American Club recently presented a check to Women of Worth volunteers. 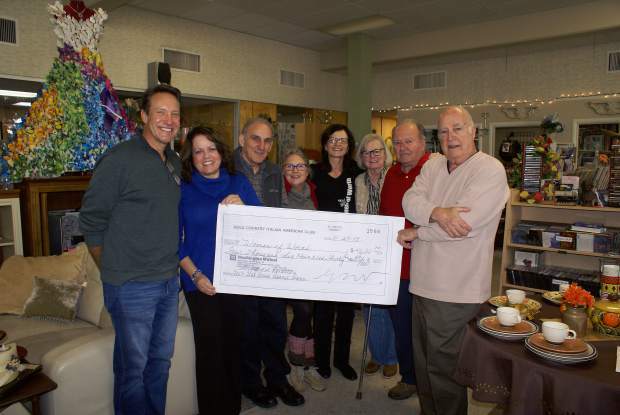 The club raised money from donations by merchants and individuals, as well as a silent auction. Women of Worth’s mission is to assist families in crisis, victims of domestic violence, sexual assault and human trafficking to increase self-reliance and improve quality of life by helping them rebuild their lives with dignity, hope and safety. For more information, visit http://www.women-of-worth.org.